... This will be primarily a clothes swap for our Blythes/Pullips/DALs. You will be sending to at 2 other people and will be receiveing from two others, like the first round of this swap. Your package must include 3 items. You package can contain clothes, furniture, accessories, or any other item that your partner might want or need. If you and your partners want to make more then 3 items for each other, that is fine, but make sure you discuss it with each other first! PARTNERS - the two names beside your own name are who you are sending to!! 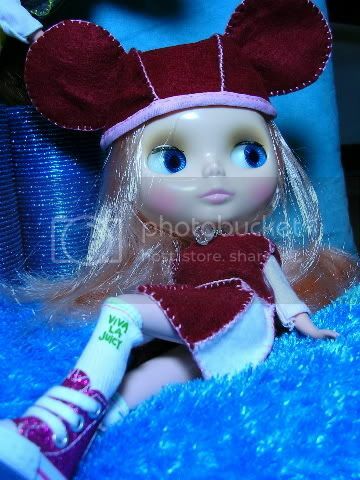 Re: We Love Our Blythes, Pullips and DALs Swap Round 3! I guess I will be first to post pictures of my three girls! 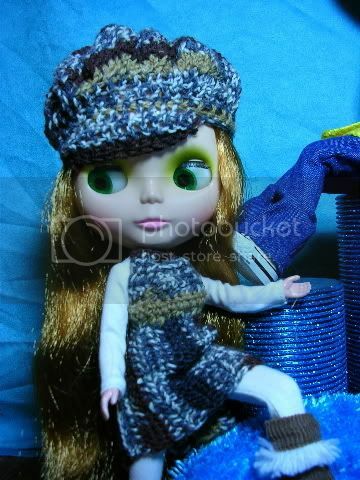 And my new girl Darwyn-PWP- She's a little Boho and right now has no clothes except her stock items. she had to borrow from Jacque for the photo shoot. 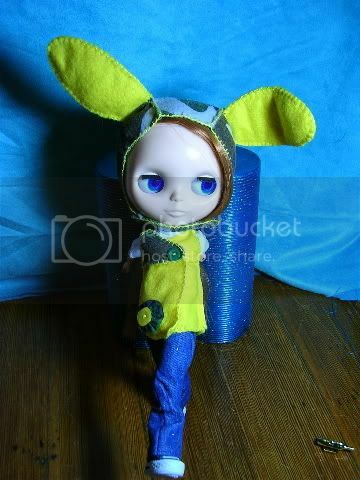 My Blythe, a RRe, named Maddie. And my DAL monomono, named Tanzie. They are, from left to right, back row: Vy (PDV), Penny Farthing (PiccaE), and Lum (ABe). Front row, seated: Lady Bug (MRB), Celeste (CC), Collette (FT) and Dawnie (SMe). Weirdly enough, I had been interested in Blythes for a few years now, but only since 11/15 of this year have I even seen one in the flesh and it was the first one I had bought lol. Now I have 7. This really should make me nervous. It has made my DH a little panicky lol! 139 dolls, 3 cats, 1 lost Hubby & Roland! Preppin' for Ro's 3rd Bday- theme=Helicoptors! This is Vivi, my Pinafore Purple. She fancies herself a bit of a glamour girl. She can be a bit too serious sometimes. She's the girl modeling the mini Vogue woven scarf that I posted about here. This is Loïe. She's the cheerful, fun-loving younger sister and she's a bit silly at times. haha! what great pics!! I really like the last one, how cute.